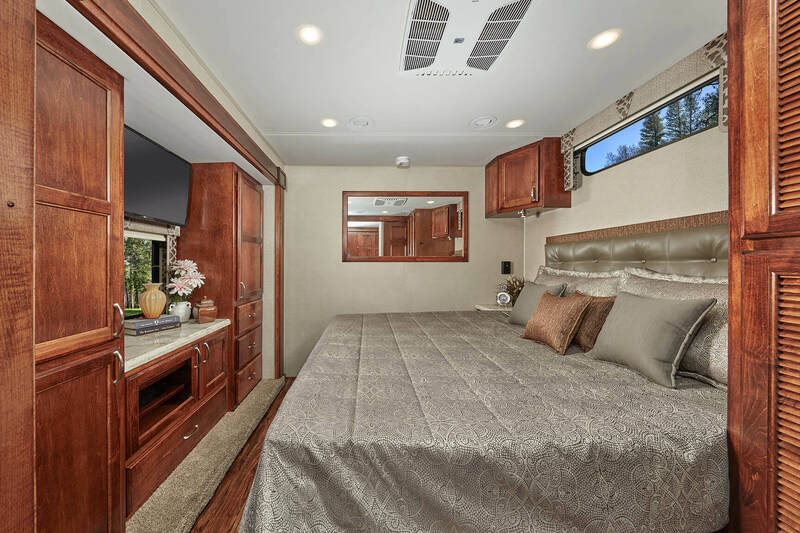 Verona is a city famous for its beauty and timeless elegance. 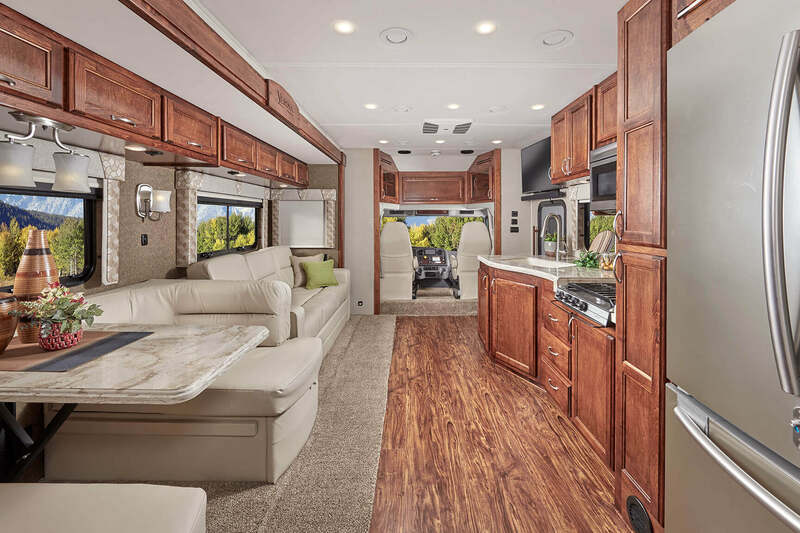 Renegade’s Verona motorhome possesses its own refined splendor and represents our pursuit to infuse travel-friendly luxury into every detail of these road legends. A host of expertly engineered features creates an inviting living space that also boasts the functionality that active families demand. 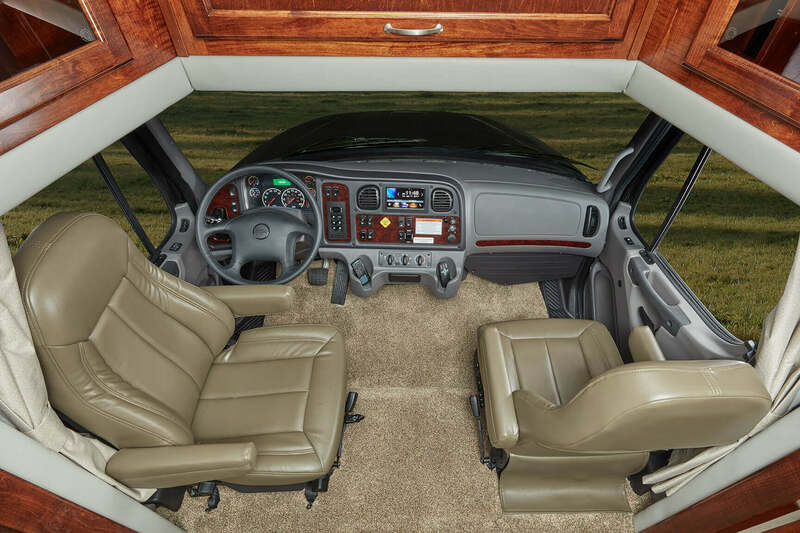 And continuing the Renegade legacy of inspired performance, the Freightliner M2 chassis delivers 20,000 lbs. 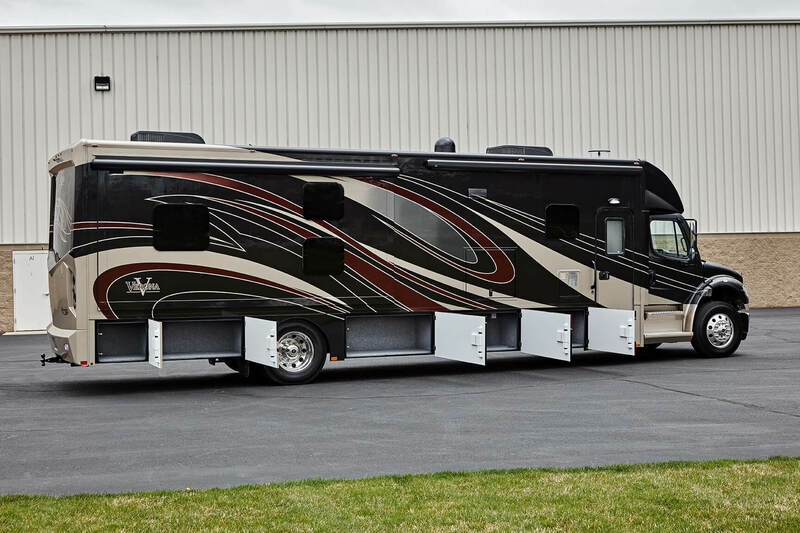 of trailer towing capacity. 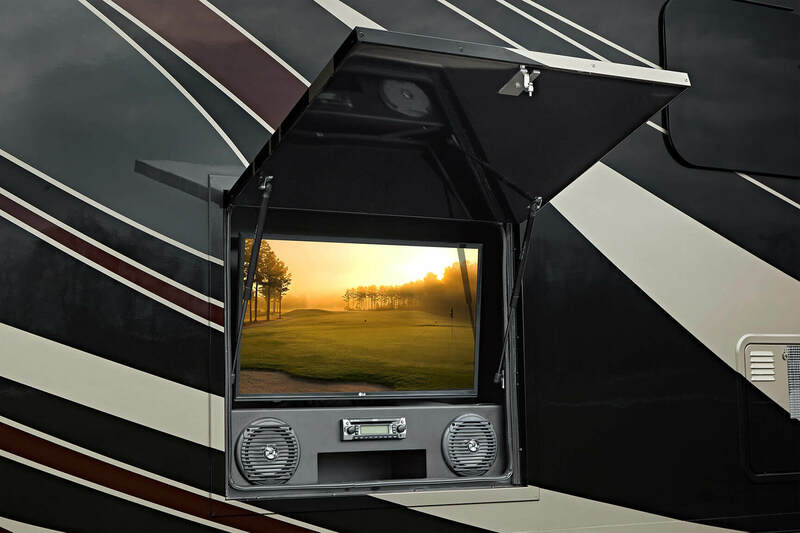 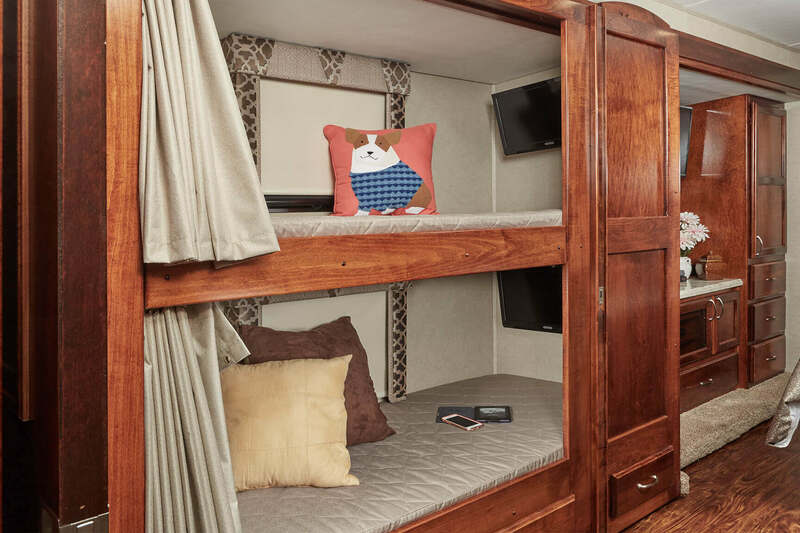 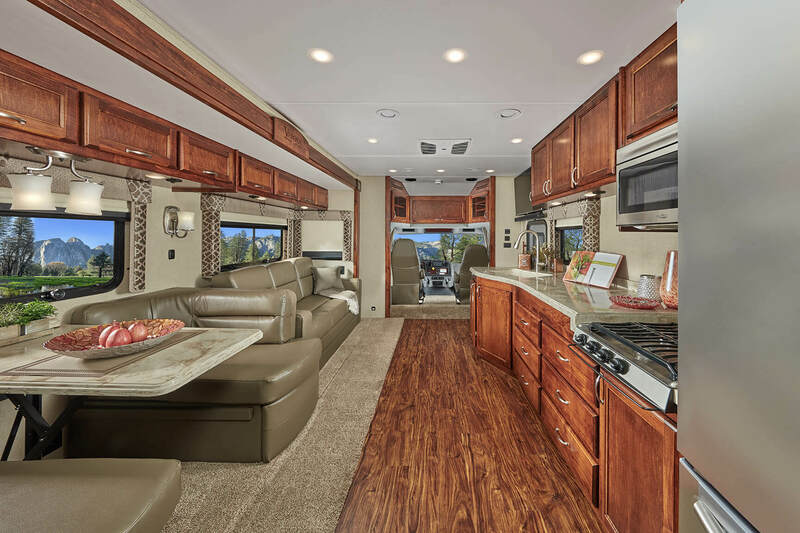 With three distinct double slide floorplans, the Renegade Verona motorhome offers the flexibility, functionality and attention to detail you’ve come to expect from a brand defined by a passionate commitment to exceptional luxury travel. 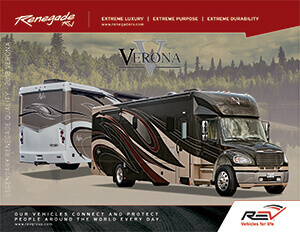 Renegade’s unrelenting craftsmanship is unmistakable. 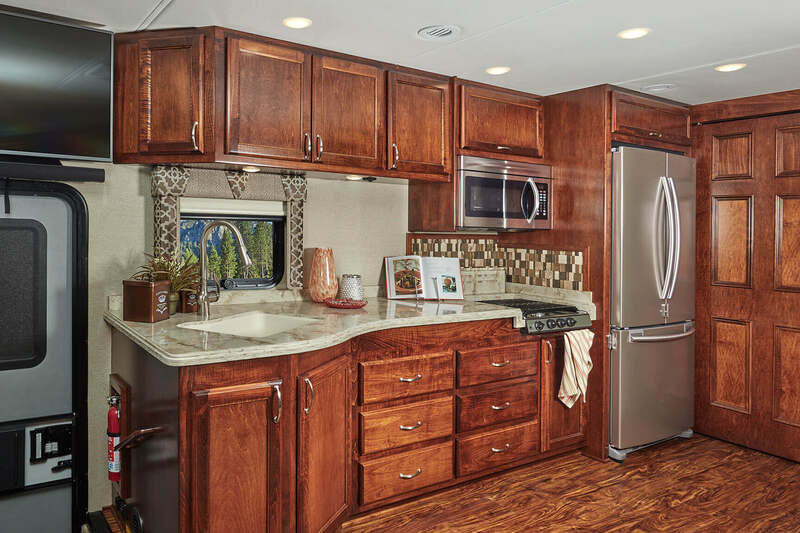 Beautiful Maple hardwood cabinets with soft closing drawers topped with polished solid surface countertops, along with stainless steel appliances and an 18 cu. 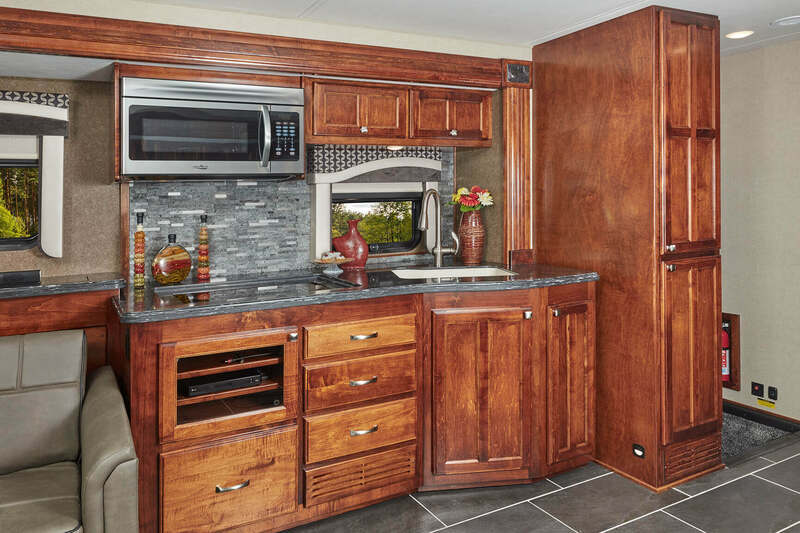 ft. Samsung French Door refrigerator with ice maker add to the kitchen's elegance. 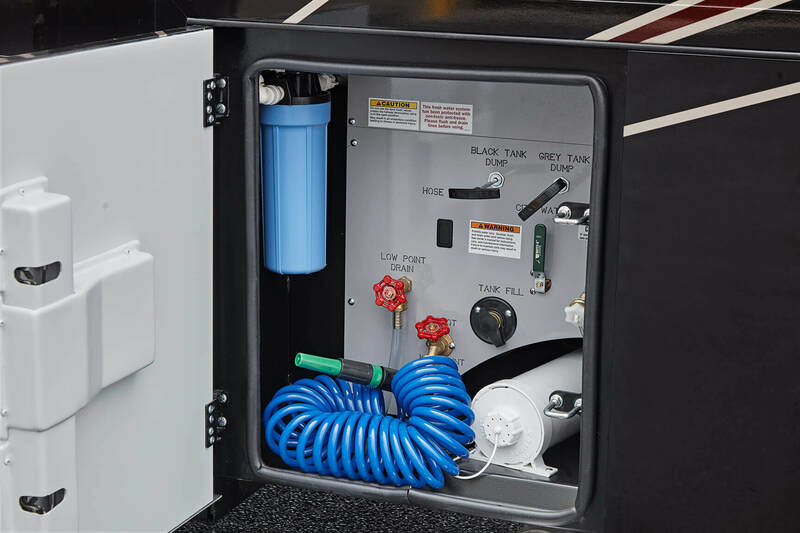 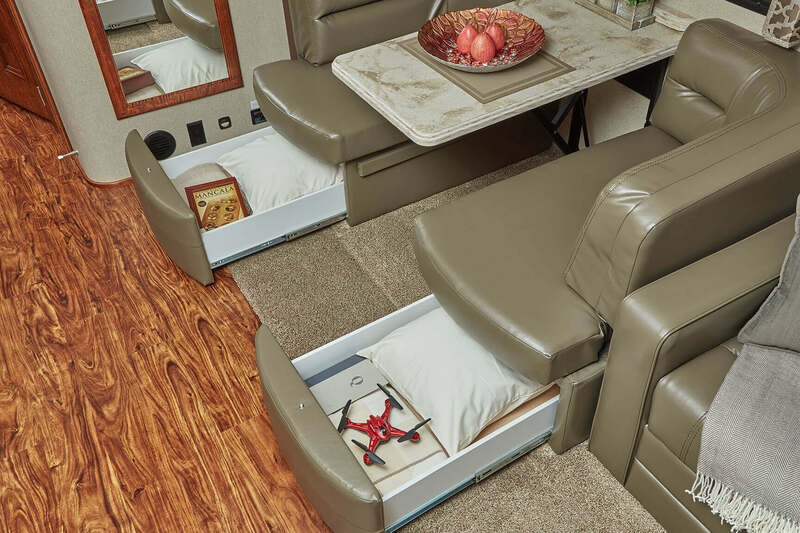 The Verona's dinette seating and storage drawers easily convert into a sleeping area perfect for additional passengers. 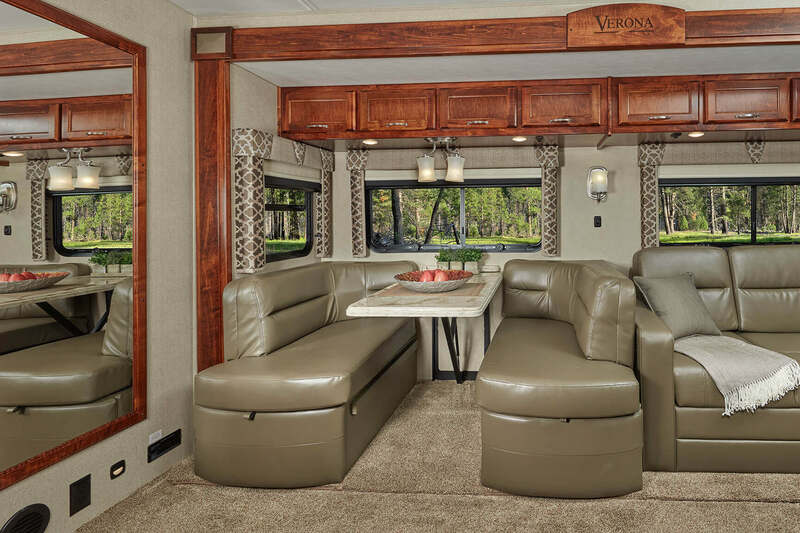 Enjoy a movie on the 43” LED TV or conversation with friends while relaxing on the Verona’s Ultra Soft Touch furniture. 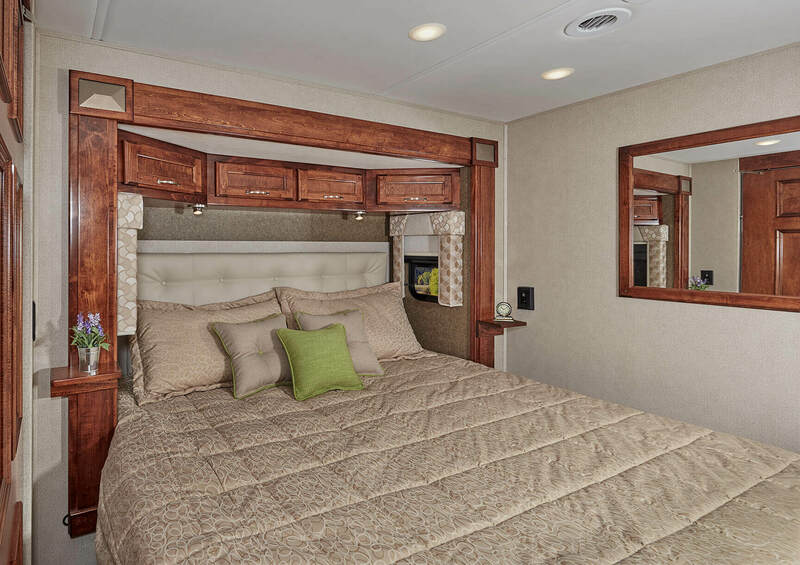 The Verona’s master suite offers a comfortable and spacious king-size bed accompanied by generous storage space. 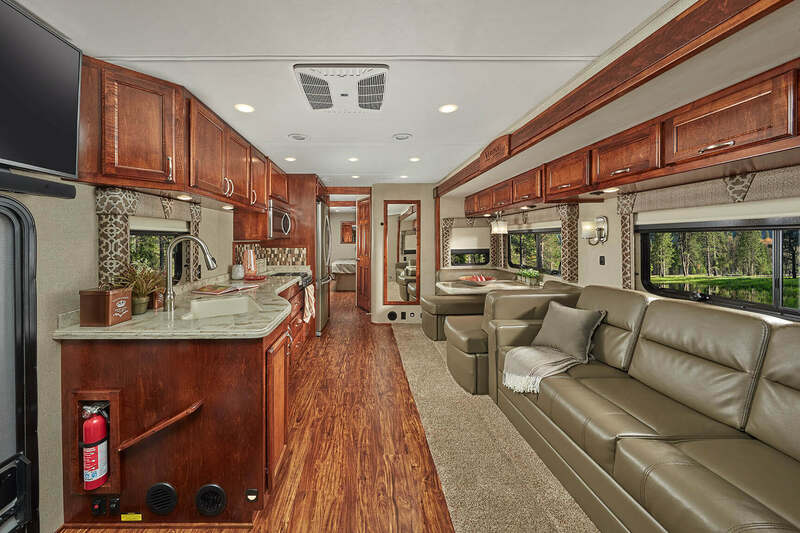 Energy-efficient LED flush-mount lighting throughout the Verona creates a warm, inviting environment any time of the day. 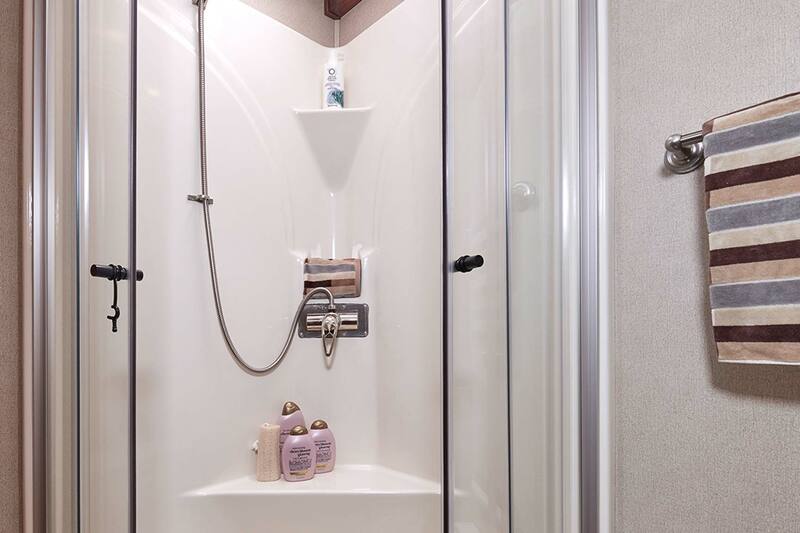 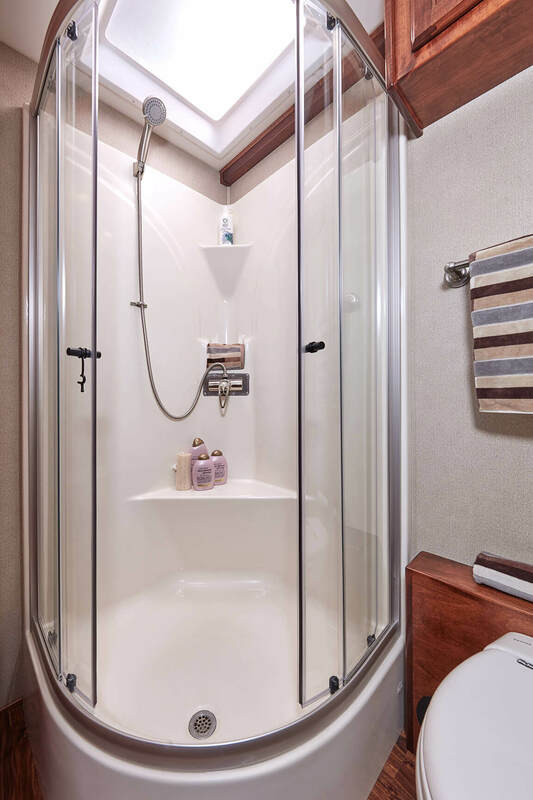 Armstrong Luxe Plank flooring in the kitchen, hallway and bath offers a touch of functional elegance to the Verona’s living space, backed by a 25-year warranty. 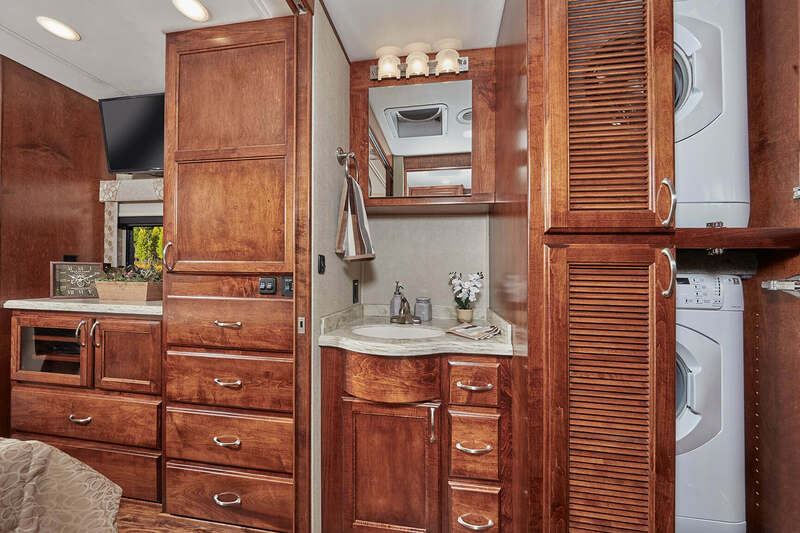 Maple hardwood cabinetry and stainless-steel appliances highlight the Verona’s beautifully functional galley.